As I reported a month or so back our home caught fire on Christmas day. As ours is a period home, the cornice was not readily available so there was a delay in repairs. As soon as the cornice was up the trades all came in and we now have our kitchen or most of it back. The room where the fire started is still under repair with works on the floor replacement and cabinetry under way. As with the kitchen the ceiling and cornice are back in. The last thing I did before recommissioning the kitchen was to install the fire blanket, and fire extinguisher. As my wife and I are not getting any younger and we both have stressful jobs I added a defibrillator to the “emergency corner” located in the center of the home and reviewed the contents of our first aid kit to be sure. 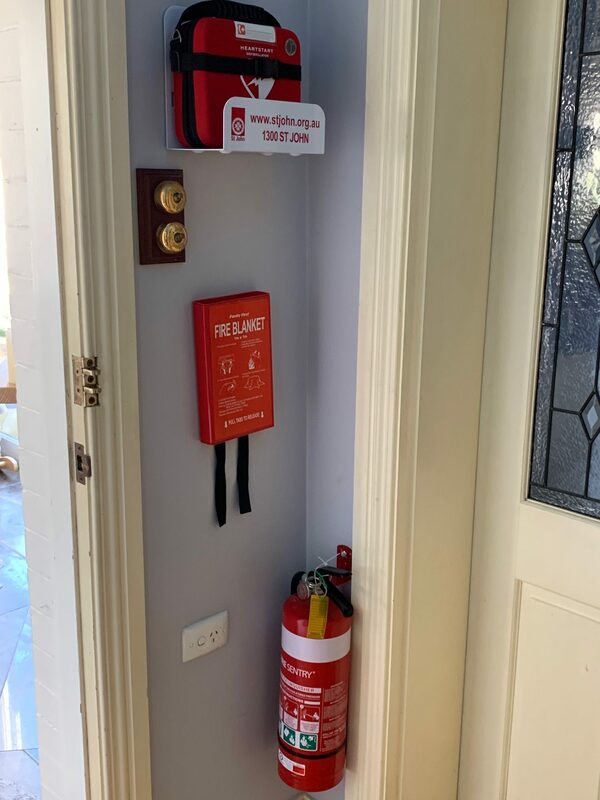 While I was at it, I installed an fire extinguisher and fire blanket in our guest studio apartment so that any guests have equipment near at hand as well. 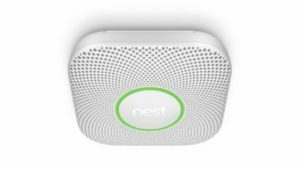 After a great deal of research I settled on the Nest brand smart fire and carbon monoxide detectors. All in all 18 will be installed including in the roof space and garage storage. I am really impressed with the advances in what can be considered, boring, smoke detectors and am planning to do a YouTube post on the LMI YouTube channel over the next few weeks to show the setup and the features of the detectors. There are speakers that not only warn you, but a voice tells you which alarm(s) has been triggered. If you are away from your home, the system sends an alert to your mobile phone. You do not get the chirp to tell you the battery is low. This always happens in the dead of night and with 13 foot ceilings it is a pain to fix at night. Both the mains wired and battery versions have 10 year batteries. The Nest detector gives off a green light for a short time when you turn off the lights at night to confirm all is operational. Even with no fire, at night you can turn on an option to have a movement activated path light. You have the ability to pair the detectors to any smart lights you may have in your home and have the lights flash in the event of an alarm. This is great for those who are not able to hear noise alerts. The detectors do a self test at an interval selected by you. There is full reporting capability. The units are easy to set up. Our electrician was similarly impressed and immediately purchased one for his home as a test. He has since written saying he will be recommending the system to all his clients moving forward. By the way, obviously the battery model does not require an electrician to install but for the mains powered ones, I would not attempt to do this myself although I know how to do it, for 2 reasons. The first is it involves 240 volt electricity and secondly it involves the use of ladders. Like insurance claims it is best left to the professionals. On the downside, as it is new technology it is not cheap. Hopefully the price will come down in the not too distant future. I found that Officeworks had the best price. I had to go to 6 different stores to track down enough detectors bearing in mind I want to cover all the rooms and spaces in my home. Keep an eye out for the YouTube review after I have had them in place for a few weeks and not just 2 nights as is the case now. I also plan to talk about the whole process from fire to full reinstatement sharing the emotional side of the experience.